When it comes to your goals and aspirations in the areas of physique alteration, sports performance, and health, it is very important to target your time and efforts doing what works, and avoid doing what doesn’t. At Renaissance Periodization (RP), formulas, calculations, and literature reviews replace gurus, hunches, and attachments to tradition. RP ensures that you have the very best information available through a team of sport and nutrition experts (including 7 team members who hold PHDs! ).They have worked with thousands of everyday athletes all over the world and want to help you reach your goals in the most efficient way possible. The most popular product is the RP Diet Templates. This 1 page PDF (with a separate page for your progressive diet phases) help you either shed body fat while keeping muscle (fat-loss diet) or gain muscle (the muscle gain diet). RP also offers Vegan diet templates. 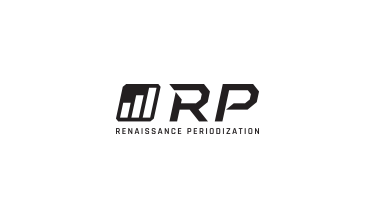 RP was founded with the understanding that science is the surest path to the truth, and in this field, to results. Their approach is the rigorous application of scientific principles to nutrition and training. Everything RP does is built on a foundation of peer-reviewed literature and experimentally confirmed theory. They know what works and want to help you reach your goals. With a team of experts behind you and the Wodapalooza team providing support along the way, what do you have to lose?! Register today!